Swiping the debit card on this purchase wasn’t an easy decision. Being someone constantly surrounded by watches, I was more than aware of the endless list of great options within this price bracket. Now, don’t get me wrong, there were some very big temptations along the way, but a Rolex was something I’d been working towards for a little while, and just over a year ago, the time was right. 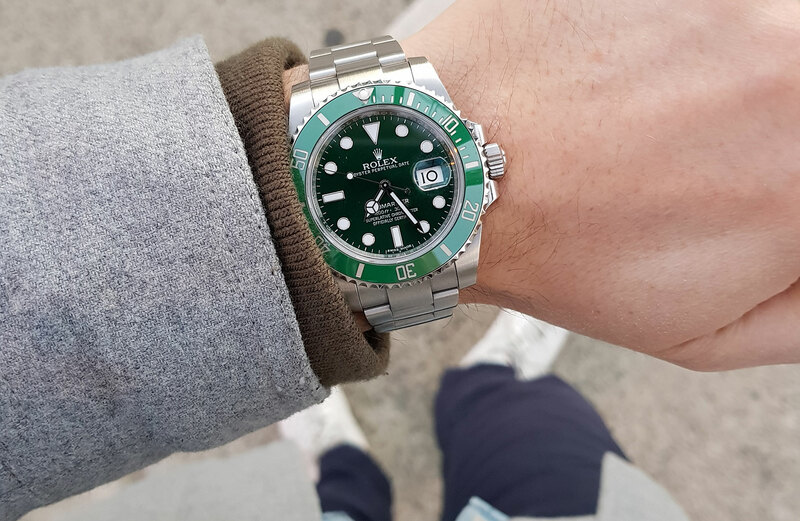 Wearability has always been my number one criteria when purchasing a watch, so for me, a Submariner felt like the right choice. It ticked all the usual boxes in terms of functionality – but there was a specific reference that I’d been heavily flirting with. 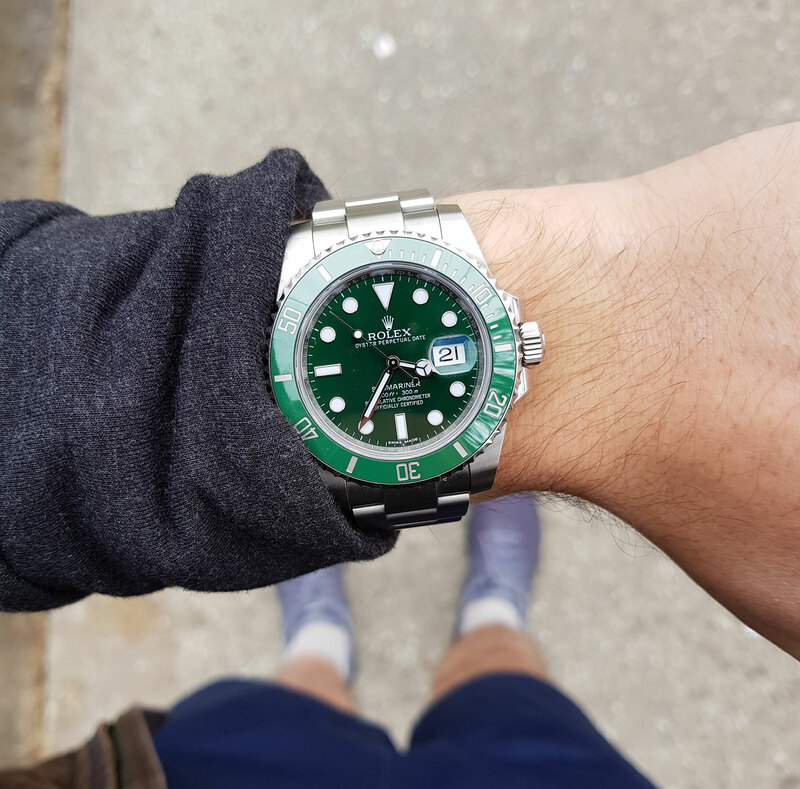 As much as I love the traditional black bezel Submariner, when put side-by-side with the green, it felt a little too safe for my liking. 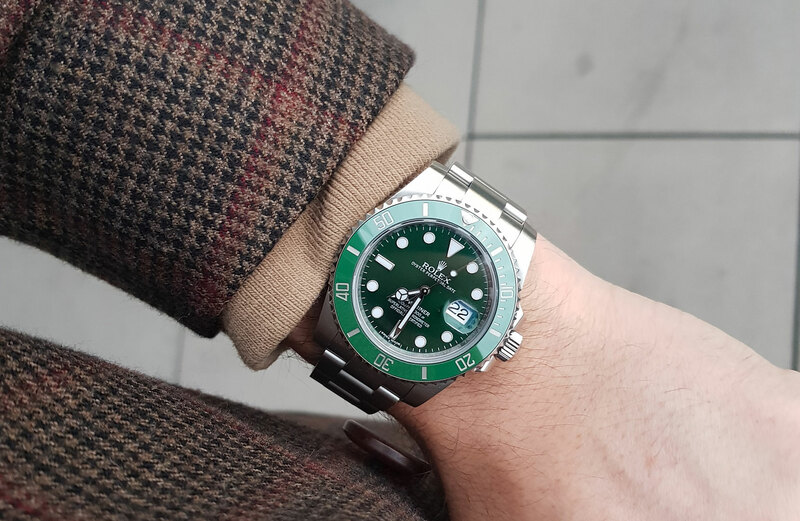 The green Sub, on the other hand, is one of the most ‘daring’ designs released by Rolex in their current collection, and of course – it shared my last name! My first impression was … wow! The green dial is simply stunning, and so dynamic – changing from a bright sunburst green, to a deep dark depending on the lighting (I later learnt that Rolex achieves this effect by mixing gold dust into the dial paint). The result is an ever-changing dial, which feels almost seasonal – bright green in the summer time when the sun is shining, and a dark, rich, green on those overcast winter mornings. This just added to my enjoyment, and as a wearer, you get to enjoy the watch’s mercurial character depending on where you are. Once I put it on, it felt … right. There’s not much else to say. To me this wasn’t just another watch; it was a symbol of all the extra hours and hard work I’d put in to reach the milestone. But when you ACTUALLY put it on, you realise that everything about the Submariner has been designed for maximum tactile satisfaction. From the moment you push the clasp down on that perfectly fitted oyster bracelet (and hear those beautiful two clicks as the clasp locks into place) to that first turn of the bezel — putting on this watch is a truly enjoyable part of my morning routine. Looks-wise … it’s iconic. 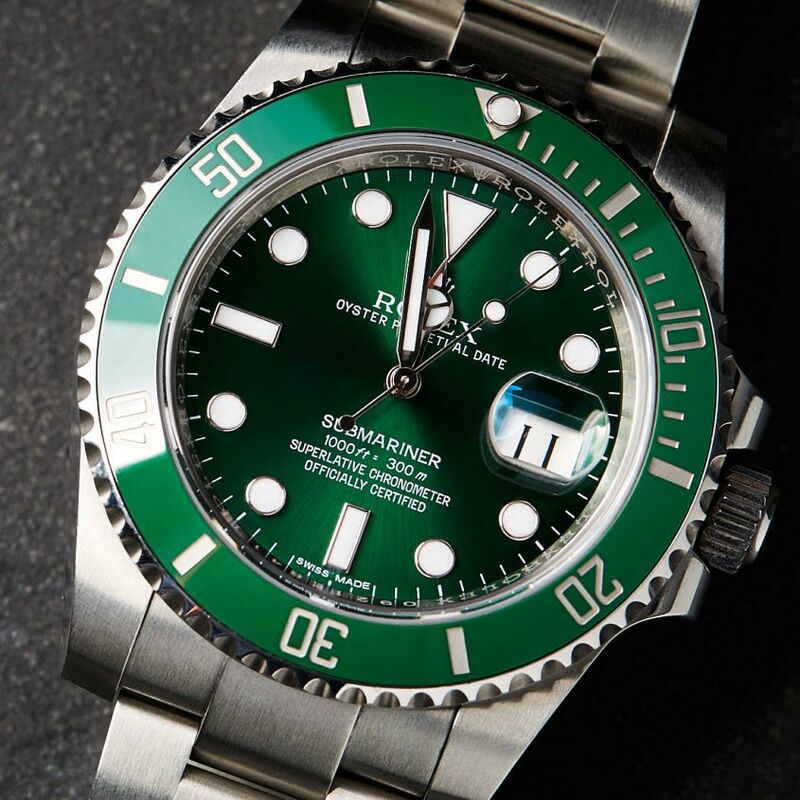 It’s a Submariner with a green twist. The glorious dial is complemented by aqua-blue lume, which is a treat come sundown. It’s just another unexpected element, and a nice touch I’ve really come to enjoy. All round, though, the green Sub is ultra-crisp with meticulously finished details. It’s a really, really handsome tool watch. What stood out to me was … just how great it feels to wear. Aside from the dial, the Oyster Bracelet with the ‘Glidelock’ feature really is amazing. The Glidelock comes in handy almost daily and is a big part of why this watch is so versatile. It allows the bracelet to be adjusted by approximately 20mm without needing to fiddle with tools, which is especially handy in summer, and for someone who flies quite a bit. I’d wear this with … everything — even though I probably shouldn’t. In fact, one of the most frequent questions I get asked about owning the Hulk is, ‘Is it something you can wear with everything?’ My answer is always YES. The 40mm case suits most outfits (bar a tux), and I’ve equally enjoyed wearing this watch to the beach and to the gym, as I have the most formal of workplaces. If I could change anything … I wouldn’t. 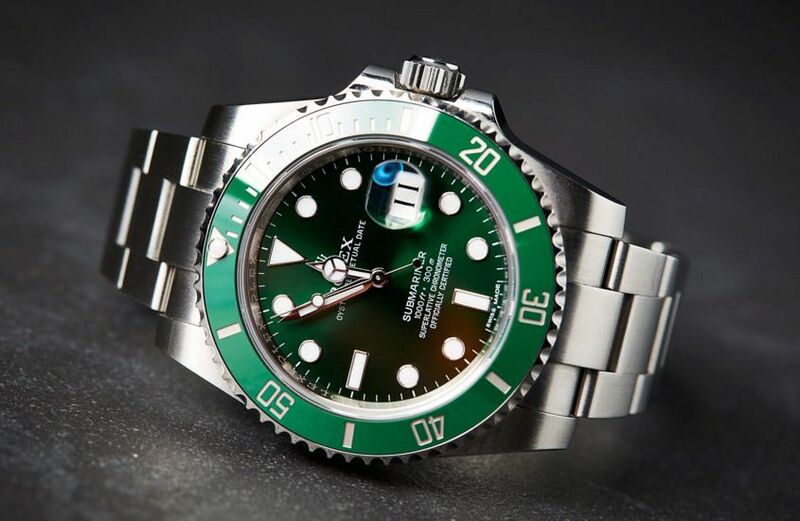 To be honest, after 60+ years, Rolex has the Submariner just about nailed. I say, ‘just about’ because the only feature I’d consider touching is the size, by perhaps shaving a millimetre or two off to get it closer to the original design. I’m the first to admit that’s just me being picky. I’m also not wild about the ‘Hulk’ nickname, but there’s no real chance of changing that. One year on … I still love it. In fact, my Hulk has — dare I say it — become part of my personality. It’d be safe to say I’ve worn it 75 per cent of the last year, and it’s yet to skip a beat. If I’ve learnt anything over the past year about owning a Rolex Submariner, it would be how robust, reliable and consistent they are. If we’re talking accuracy and timekeeping, over the past year, I’ve probably adjusted the time half a dozen times – which more often than not is because I’ve let the power reserve run dry. After six decades of evolution, the design of the Submariner is nearly perfect.